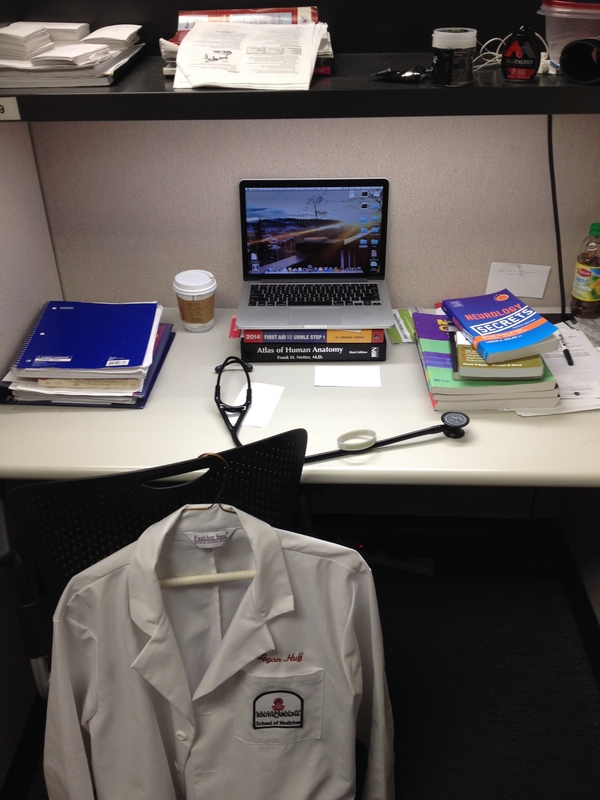 Once I began medical school keeping in contact with family and friends was very difficult. I was so preoccupied with school and studying that I felt out of the loop with everyone that was important in my life. It is very easy to get caught up in everything that is going on and neglect to stay in contact with the very people that love you the most. Make an effort to keep in contact with your family and friends. Though they might not know exactly what you are going through they care for you and want to know what is going on in your life. What do you do with your iPhone when the battery is low? You recharge it. The same thing goes for you. You have to allow yourself to recharge. One of the best ways to recharge is to get sleep. A lot of people will sacrifice sleep to get more things done, but over time the lack of sleep will be more detrimental than helpful. Another way to recharge is to spend some time completely unplugged. I try to spend 15 minutes each morning before I start my day and 15 minutes to finish up my day away from my computer and lecture slides to read and pray. This time spent quiet and away from everything puts the day in perspective and keeps you focused on the bigger picture. One of the biggest things that has gotten me through this first year with some type of sanity is the fact that I put a huge basis on exercise. I try to participate in some type of athletics and go to the gym a few times a week. I have made it a habit to go everyday before I have a test. Exercise is great for combating stress and helping to take your mind off those stresses. Not only will it help relieve stress, but it will leave you feeling refreshed and give you much more energy. How do you get from the base of the mountain to the peak? One step at a time. If you look at what you have coming up in the days ahead it will only stress you out. It is very easy to get bogged down when concentrating on everything you have to do in the days ahead of you. If you concentrate only on what you have to do today it will seem way more manageable. Then before you know it those small steps will add up and what you were stressing about days before will be behind you. This seems very counter-intuitive with my previous point, but taking one step at a time with your eyes on the end goal will keep you from straying from the path. One of the hardest things in the first two years of medical school is that you are stuck in the classroom getting information thrown at you at a million miles per hour. If feels like you will never get to the end and is very easy to lose track of your goal when it is far off in the distance. Taking the time to look up and at your end goal will only help you to remember the real reason you are going through your current situation.